So what is the average Scottish fold life expectancy? Short answer 15 years. But the question is not that simple. You see scottish folds are a breed that comes in many different colours and variations because rarely two folds are mated together. Most of the time it is a cross breeding between folds and other breeds. 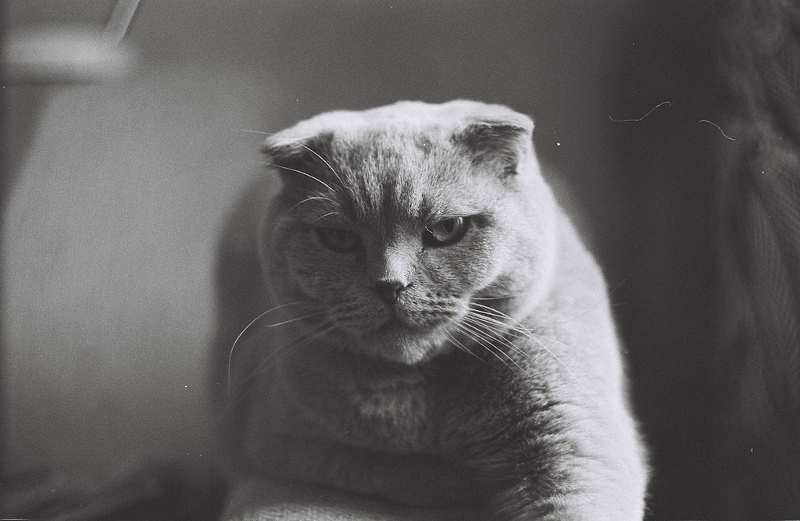 The most common breeding partners for scottish folds are British Shorthair and American Shorthair, they make good and healthy combinations and always produce beautiful kittens. Scottish folds have a very strong disadvantage compared to all other cats. This disadvantage is what brought them to existence in the first place, but also what makes them suffer. This is no else but their unique genetic markup. 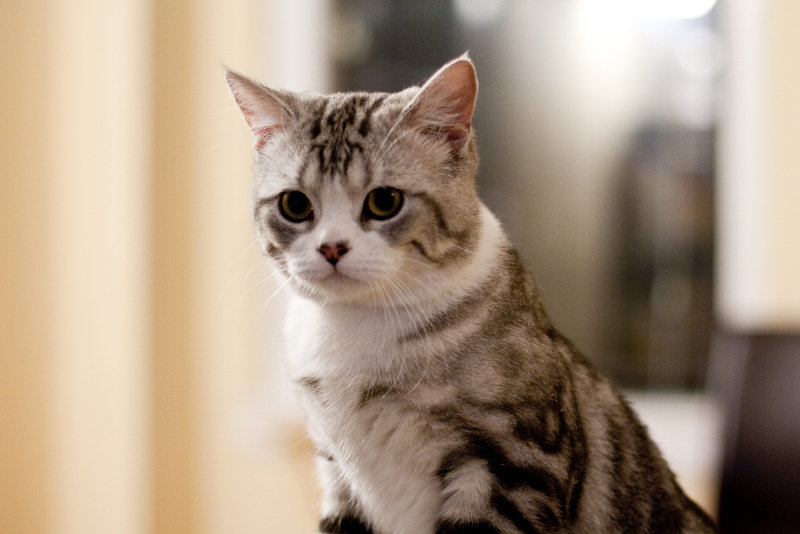 Scottish folds share a mutant gene that affects the cartilages of the entire body. This mutation is what gives them the folded ears, but it also causes them serious health problems later in life. Straight eared folds usually don’t carry the gene and for this reason they are healthier and have longer lifespans. They differ from their brothers in eppearance, they don’t have folded ears, or any other deformities associated with the “folded” gene. If you want a healthy Scottish fold that would live for many years happy, you should definitely go for a straight. They also come at a lower price than their folded brothers and the best of all? 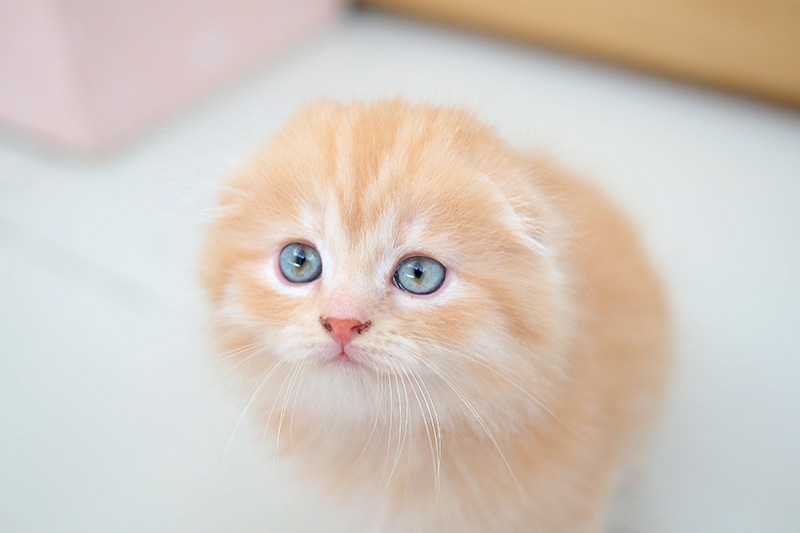 They do have the typical and amazing personality of Scottish folds. Normal folds are those who have their ears folded and carry one copy of the controversial gene. Some breeders support that folds that have only one copy (aka heterozygous) don’t have any health problems and that with the proper care they can live healthy and long lives. This is true to some extend. These folds if treated well, with proper nutrition, exercise and veterinarian care, they can expect to live 15 years. But that doesn’t mean that they are not prone to diseases such as feline OCD, polycystic kidney disease and cardiomyopathy. Until this point everything seems ok. The really sad news come when you make homozygous folds. Homozygous folds carry two copies of the gene and usually come when you mate two folded ear cats. Homozygous folds they may look good and healthy the first few weeks, or even the first few months. But suffer from sever bone deformities and usually die or get euthanized for welfare reasons, before they managed to reach the age of 5 years. According to this study all Scottish folds who carry the gene mutation, will suffer from OCD. It just happens that in heterozygous Scottish folds usually the disease has a slower progress. With that said, all will suffer from OCD, the severity of which depends on how strongly the mutant gene express it self on each individual cat. Some Scottish folds suffer little to none and some other suffer so much that they have to get euthanized just like their homozygous brothers. Note here that straight eared scottish folds who don’t carry the gene, don’t show any of these symptoms. If you already own a Scottish fold there are a few steps you should do to minimize the impact of this disease. First you have to do some x-rays, CT or MRI scans to see if your fold really suffers from OCD and how much. Straights should also be checked, because there are straight scottish folds who carry the mutant gene. Periodic vet examination is advised for signs of lameness, stiffness, or pain. Periodic x-ray/CT/MRI scans as advised by the veterinarian. Other steps as advised by your vet. Not giving kittens smaller than 12 weeks old, they leave them time to socialize and get vaccinated. Good reputation/and or reviews, in the local community or online. Being a member of a respectful breeding or/and cat fancier organizations. Doing business only locally for many years, this is highly improbable but in case it happens it means that they have to be good, otherwise they would had developed a bad reputation and eventually got out of business. Positive to transparency. Being postive to transparency is a huge plus for breeders. Breeders who are receptive to give you insights on their processes and show you the paperwork and stuff, usually they have nothing to hide. Which means they have quality, the know it and are not afraid to prove it. You may also check our kittens for sales listing to browse the net for opportunities. After you acquire your kitten you should follow the above instructions as well. Find Scottish fold kittens for adoption today!